Old map by BELLIN -Plan du Fort et de la ville du Cap de Bonne Esperance. 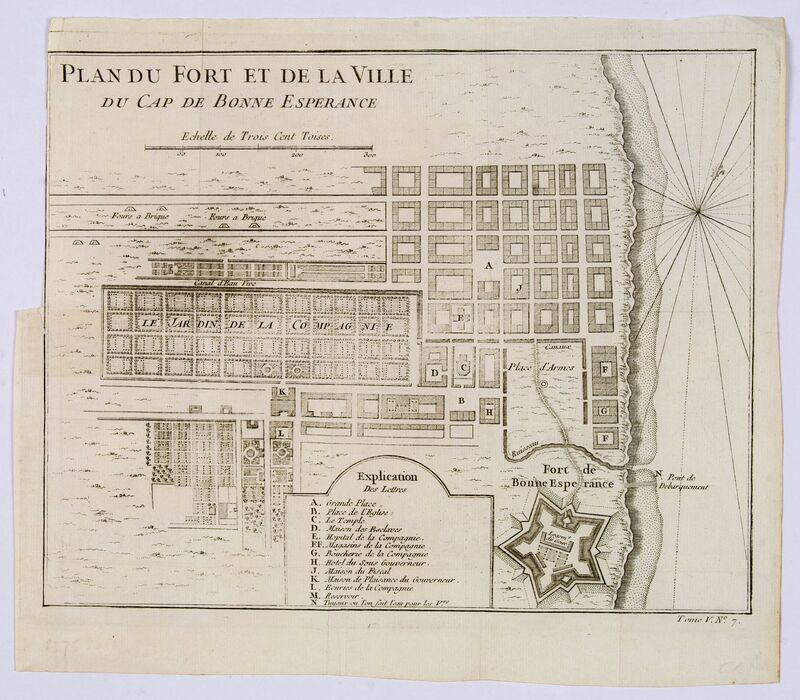 Title: Plan du Fort et de la ville du Cap de Bonne Esperance. Condition: In fair / good condition. Top half of the left side border trimmed to just beyond neat line, as was issued. Folds. Small tear repaired by adhesive tape. Plate slightly worn. Plan of the city, the fort and Good Hope Cape. 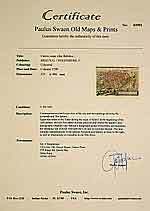 With an explanation key to a list of 13 important sites and locations keyed to the plan with corresponding letters. Shows an outline of the defences of the fort. In smaller format, he issued the Petit Atlas Maritime (1764), which contained 580 charts, as well as maps to illustrate l Abbe Prevost's Histoire Générale des Voyages (1746-1757). Bellin also produced a substantial number of important separately issued maps, particularly reflecting continuing discoveries and political events in the Americas.